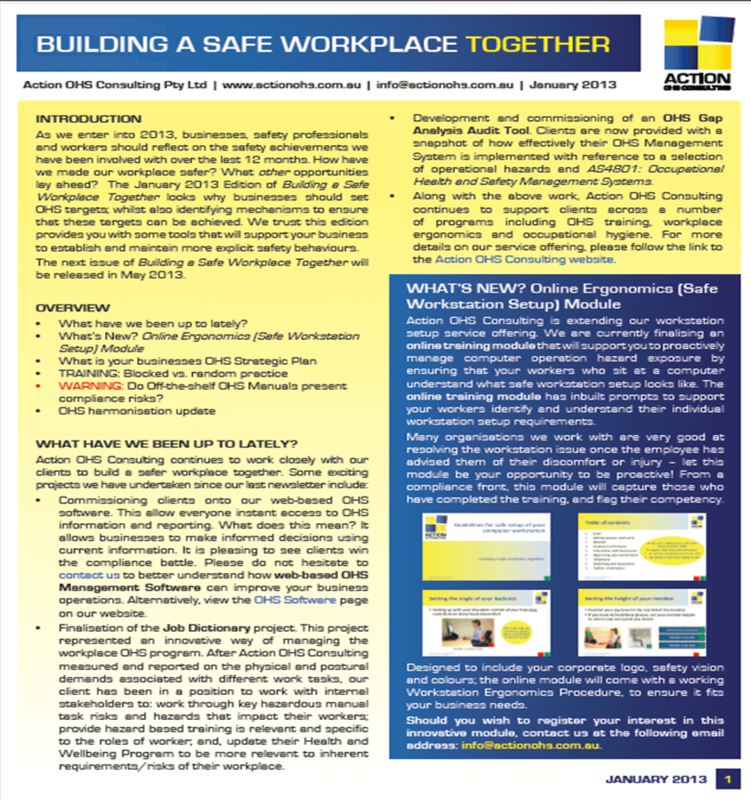 Please find Action OHS Consulting’s January 2013 edition of our 4-monthly newsletter Building a Safe Workplace Together. Following a number of requests made by our clients, in this edition we introduce Action OHS Consulting’s internally developed “Safe Workstation Setup Online Module”, whilst looking into the benefits of OHS strategic planning. In line with our earlier editions of Building a Safe Workplace Together, we have provided an OHS Harmonisation update and a focus on training. Our training focus applies understandings from sport coaching environments into the workplace environment, as we look at the effectiveness of blocked vs. random practice/training in relation to skill acquisition.